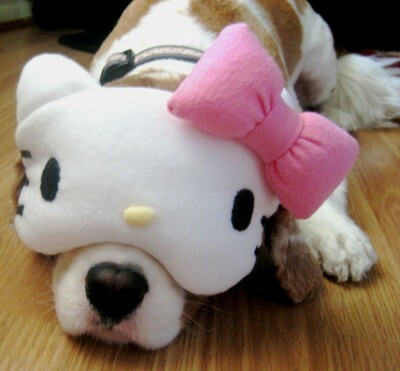 It has already been well established on this blog that dogs that are owned by Hello Kitty fanatics must live in a Hello Kitty Hell on par with mine (for reference for those that might still have any doubt: 1 – 2 – 3 – 4 – 5 – yes, I could go on and on…), so the fact that the evil feline continues to make products specifically for dogs pretty much confirms that there are absolutely no dog lovers working at Sanrio. It doesn’t take a huge leap of faith to figure out that if you lived an especially disgraceful previous life, chances are that you returned to earth as a pet of a Hello Kitty fanatic as punishment. 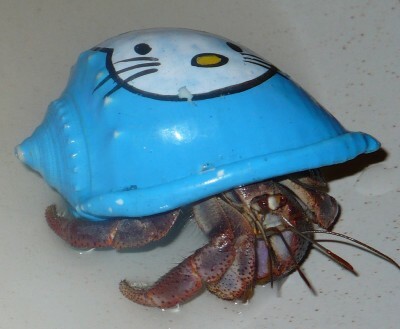 Although I can’t imagine what type of evilness could constitute such a horrendous punishment, what Hello Kitty fanatics do to their poor pets is proof that their crimes must have been immense. 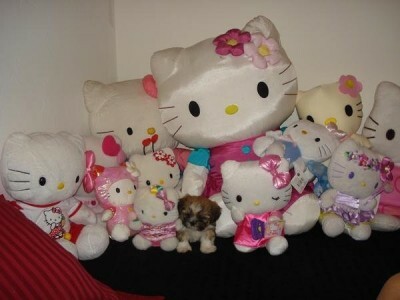 Of all living things on earth that may have a comparable Hello Kitty Hell to my own, the closest may be the dogs of Hello Kitty owners. 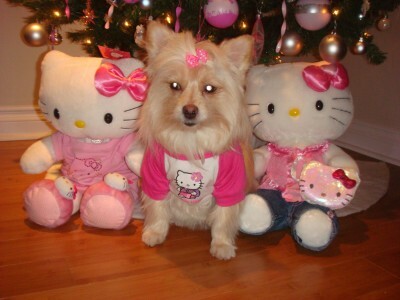 When your owner thinks it’s a good idea to give you a Hello Kitty ID tattoo or simply dress you up like this (or this or this or this — it is quite sad that I could keep going on and on), being a dog owned by a Hello Kitty fanatic can’t be an easy life. The answer is simple. 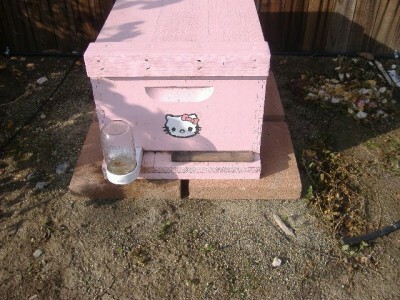 You’re making the bees live in a freaking pink Hello Kitty bee hive and they figured it out. It would make anybody angry and want to swarm. Of course, as anyone that would think it was a good idea to build a Hello Kitty bee hive in the first place, they try to rationalize the new found aggressiveness of the bees to something else. 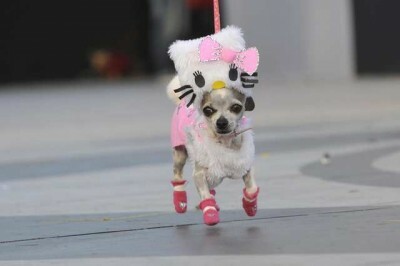 It seems that Lindsay Lohan has decided that she no longer needs some of her Hello Kitty crap. She has decided to sell it to her fans on a new website which she created for the sole purpose of selling all of her old crap (seriously, you can’t make this stuff up). I can’t decide if it is good news that Lindsay Lohan has actually figured out that Hello Kitty crap is not worth keeping, or beyond evil feline evil that someone will end up with not only Hello Kitty crap, but Hello Kitty crap previously owned by Lindsay Lohan. 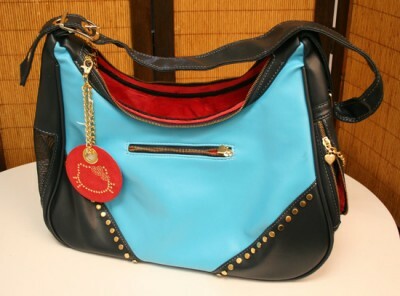 What are the worst Hello Kitty products out there? “Everything?” would be my immediate response. That being said, many of the things that I personally find horrifying never seemed to raise much of a ruckus among the readers here and the Hello Kitty fanatics — well, let’s not even go there. I guess my life has become so Hello Kittified that I have a hard time distinguishing between Hello Kitty bad, Hello Kitty worse and Hello Kitty worst. So here’s a challenge/question – what are the top three worst Hello Kitty items I have listed on this blog (yes, I know there are a number of items even worse that I have not listed, but I try to keep this blog semi family safe) and why do you think so?